Andrea Gregori (soprano), began her career as a dancer/choreographer but found her passion in opera, concert, and musical theater. With Theatre Street, she has appeared in many living history performances throughout the northeast and abroad, including a debut at the world-renowned Newport Music Festival in 2014. She made her European debut at the International Gilbert & Sullivan Festival in England in 2015 and performed at the Festival in Gettysburg, PA in 2011. She has appeared with the Casals Festival in Puerto Rico, Tri-Cities Opera, Ash Lawn Opera, Four Corners Opera, Central Florida Lyric Opera, Orpheus Theatre, Summer Savoyards, Cider Mill Playhouse, and Endicott Performing Arts Center (EPAC) in a number of leading roles. In 2011, she made her debut with the Ti-Ahwaga Performing Arts Center as Maria Callas in MASTER CLASS, for which she was praised as being "magical...a force to be reckoned with." She then reprised the role at the historic Casino Theatre in Newport, and multiple venues in upstate New York. Ms. Gregori has twice been featured at the annual NY State Sports & Entertainment Celebrity Gala, singing for dignitaries, celebrities, and Olympic Gold Medalists. She has appeared in concert with Metropolitan Opera artists, the late Enrico Di Giuseppe and Dominic Cossa, and coached with Licia Albanese and organist Searle Wright. She was a three-time recipient of the E.S. Kardon Grant, two-time winner in the NATS Eastern Regional Voice Competition, and a finalist in the Schorr International Voice Competition and Connecticut Opera Guild Voice Competition. Other recent engagements include Desiree (A LITTLE NIGHT MUSIC) with the Ti-Ahwaga Performing Arts Center, Lady Thiang (KING & I) and Johanna (SWEENEY TODD) at EPAC, Mother Abbess in SOUND OF MUSIC for Millbrook Playhouse’s 50th anniversary season, and Lady Psyche in PRINCESS IDA for Cornell University’s 150th anniversary celebration. Recent and upcoming performances include a debut at New York’s National Opera Center and Eliza Doolittle (MY FAIR LADY) at EPAC to commemorate the musical’s 60th anniversary. Ms. Gregori holds degrees from Temple University and the University of Denver and serves as Vice-Chair of the Art Mission & Theater and Phelps Mansion Museum in Binghamton, NY. She will return to the Newport Music Festival for an encore performance in 2016. Timothy LeFebvre, nationally acclaimed baritone, has wide-ranging experience from the operatic stage to the concert hall. He has appeared in concert and oratorio with the Jacksonville Symphony, Cleveland Pops Orchestra, Wichita Symphony, Pensacola Symphony, West Virginia Symphony Orchestra, Vermont Symphony, Minnesota Symphony, Syracuse Symphony, American Symphony Orchestra, Pittsburgh Symphony, Spokane Symphony, Binghamton Philharmonic, Rochester Bach Festival, Berkshire Choral Festival, New Dominion Chorale, Williamsport Symphony, Orchestra of the Southern Finger Lakes, Syracuse Chamber Music Society, the Skaneateles Festival, the Marlboro Music Festival and the Newport Music Festival. He has also appeared in concert at New York’s Carnegie Hall and Alice Tully Hall. His frequently performed operatic roles include Rigoletto, Sharpless (Madama Butterfly), Germont (LA TRAVIATA), Count (LE NOZZE DI FIGARO), Falke (DIE FLEDERMAUS), Marcello and Shaunard (LA BOHEME) and Father (HANSEL AND GRETEL). LeFebvre’s operatic experience features performances with Central City Opera, Tri-Cities Opera, Sarasota Opera, Chattanooga Symphony and Opera, Syracuse Opera, Indianapolis Opera, Opera Delaware, and Opera Theater of Pittsburgh. 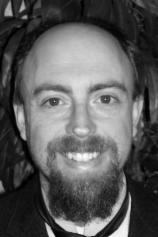 Mr. LeFebvre is currently Associate Professor of Singing at Oberlin Conservatory of Music. Prior to Oberlin, he was Assistant Professor of Voice at Binghamton University, and also taught at Cornell University, Syracuse University, Hamilton College, and Colgate University. Steven Nanni's (tenor) engagements include leading roles in opera and oratorio, light opera, art song and lieder recitals. With Theatre Street, he has appeared in many living history performances throughout the northeast and abroad, including a debut at the world-renowned Newport Music Festival in 2014 and Tony in Terrence McNally’s MASTER CLASS. He performed at the International Gilbert & Sullivan Festival in 2011 in Gettysburg, PA and performed at the Festival in England in 2015. 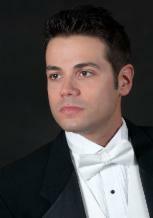 Appearances include New York City Opera, Washington National Opera, Carnegie Hall, Kennedy Performing Arts Center, Florida Philharmonic, La Lirica di Venezia, Opera Company of Dublin, Ireland, Liederkranz Hall (NYC), the Juilliard School, Delaware Valley Opera, Binghamton Philharmonic, Binghamton Downtown Singers, Tri-Cities Opera, and Summer Savoyards. Steven attended the Conservatorio di Musica "Giuseppe Verdi" di Milano Internazionale under the direction of Guido Salvetti. Steven also attended the Accademia Nazionale di Santa Cecilia and the Music Conservatory of Westchester in White Plains, where he studied with soprano, Renata Scotto. Steven has also been a student and colleague of the celebrated diva Montserrat Caballe and under the baton of Placido Domingo at the Washington National Opera, including its Young Artists program. Steven is the Professor of Vocal Methods and Classical Vocal Repertoire at Hartwick College and SUNY Oneonta. He is also on the vocal faculty of the Narnia Festival in Umbria, Italy, a vocal arts and opera program. Recent performances include Orff’s CARMINA BURANA at Binghamton University, Handel's MESSIAH and Bruckner’s TE DEUM with the Binghamton Downtown Singers, Bach's MAGNIFICAT with the Catskill Symphony, and recitals in Toronto, Atlanta, Naples, and New York City. He will return to the Newport Music Festival for an encore performance in 2016. 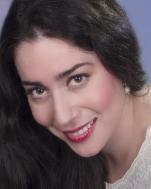 Kasey Stewart (mezzo-soprano), received her MM in Vocal Performance and BA in Music from Binghamton University. With Theatre Street, she has appeared in many living history performances throughout the northeast and abroad including a debut at the world-renowned Newport Music Festival in 2014. She made her European debut at the International Gilbert & Sullivan Festival in England in 2015. 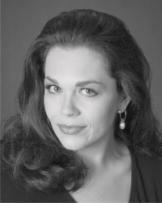 She also performed Festival in 2011 in Gettysburg, PA and in Philadelphia, PA in 1997 as Phoebe in YEOMEN OF THE GUARD. A former member of the Resident Artist Training Program at Tri-Cities Opera, she was also a founding member of The Singing Actor’s Studio under the direction of Jake and Jill Gardner. Ms. Stewart has been a featured artist with Cleveland Lyric Opera, Tri-Cities Opera, Summer Savoyards, Cider Mill Playhouse, Catskill Choral Society, Binghamton Downtown Singers, Binghamton Philharmonic, and Basically Bach Ensemble. With the Cleveland Lyric Opera, she originated the role of Female Redwood in the World Premiere of Randall Eng’s opera, FLORIDA. As an oratorio soloist, Ms. Stewart has appeared with the Catskill Choral Society in Bach’s MAGNIFICAT, and the Binghamton Downtown Singers in Handel’s MESSIAH and Dvorak’s REQUIEM. She was on the voice faculty at Elmira College from 2000-2014 and maintained a private voice studio at the Cedar Arts Center in Corning, NY. She also served as Assistant Professor of Voice at Ithaca College School of Music and recently began her doctoral studies in Vocal Performance & Literature at the University of Illinois at Urbana-Champaign. She will return to the Newport Music Festival for an encore performance in 2016. Margaret “Pej” Reitz (pianist) received her BM and MM degrees in Piano Performance with accompanying emphasis, attending Boston University, New England Conservatory, and Binghamton University. She has studied with Jean Casadesus, Victor Rosenbaum, Seymour Fink, and Walter Ponce and accompanying with Allen Rogers. She has been Theatre Street’s accompanist since its inception, and made her debut at the world-renowned Newport Music Festival in 2014. With Theatre Street, she has also appeared as the Accompanist in MASTER CLASS and accompanied at the International Gilbert & Sullivan Festival in England in 2015. She has accompanied throughout the US, England, South America, Spain, and at AIMS in Graz, Austria. She was a winner of the Artistic Ambassadors Program in partnership with the Kennedy Center for the Performing Arts. She has been a guest chamber music artist in Morges, Switzerland and was selected to accompany at the Interpretation of Spanish Music in conjunction with University of Madrid coached by Teresa Berganza and at Mannes School of Music. She was also selected to attend the Accompanying Workshop for Singers and Pianists at Northwestern University with Chicago Lyric Opera Faculty and Coaches. She was invited to the International Clarinet Conference to play a recital in Tokyo, Japan. She has recorded several CD’s with the Glickman Ensemble and has appeared with them in Birmingham, England and at the Cornell Summer Concert Series. As a soloist, she has appeared with the Catskill Symphony in Cooperstown, NY. Ms. Reitz has accompanied vocal recitals at the National Opera Center in New York. She has been on the faculty of Binghamton University since 1991 and Ithaca College School of Music since 1999. She is Treasurer of the local District VII Music Teachers Association and is an active adjudicator for the National Piano Guild Organization. She will return to the Newport Music Festival for an encore performance in 2016. Patrick Grimes (actor) has appeared as Theatre Street's narrator numerous times in Newport, RI, including a performance at the Newport Music Festival in 2014. He also appeared as the Stagehand in Theatre Street's production of Terrence McNally's MASTER CLASS at the Casino Theatre in 2012. He is the Artistic Director of the Marley Bridges Theatre Company, which produces murder mysteries at the Newport Art Museum, the annual Victorian Christmas Feast, outdoor summer theatre, one act operas, and original works. He was also the Artistic Director and historian of the Beechwood Theatre Company for a number of years at the former Astors' Beechwood. A graduate with a degree in Acting from the University of Northern Colorado, Patrick moved to the East Coast in 1996 and fell in love with New England. Recent roles include Bottom in A MIDSUMMER NIGHTS DREAM, Antipholus of Ephesus in A COMEDY OF ERRORS, Dr. Chester Menace in THE EARLY PRE-DUSK OF DR. MENACE'S REANIMATED UNDEAD ZOMBIES, John Worthing in THE IMPORTANCE OF BEING EARNEST and Oedipus "Ed" Tex in PDQ Bach's OEDIPUS TEX: AN OPERA IN ONE CATHARTIC ACT. In the summer, he teaches theatre at St. Michael's Country Day School in Newport, RI. He will return to the Newport Music Festival for an encore performance in 2016.